R.P.M. Performance is proud to be an authorized dealer and installer of LINE-X bed liners. 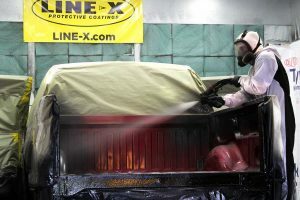 When you need protection that can’t be beat by drop-in or other spray-on bed liners, LINE-X is the name to remember. Contact us today for a free estimate. Don’t waste any more time searching for a bed liner that looks great while also offering unbeatable protection. When you trust R.P.M. 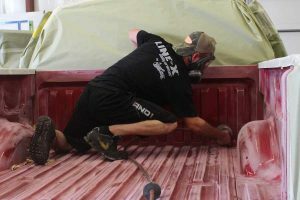 Performance in Burlington to install your new bed liner, you benefit from years of experience, as well as the unmatched toughness of the LINE-X material. 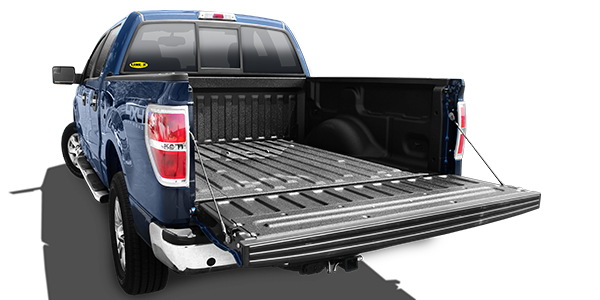 LINE-X is so confident that their bed liners will give your truck the protection that it needs, that they offer a lifetime warranty on every liner installed by an authorized installer. If the liner starts to bubble up, flake off, or crack, LINE-X will replace or repair the bed liner in order to return it to a perfect condition. Available in an assortment of custom colors that you can choose from in order to accent or blend in with the color of your truck. Completely custom. 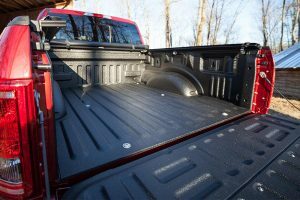 Because we apply the material directly to the bed of your truck, it forms a perfect fit that prevents water and chemicals from getting through. 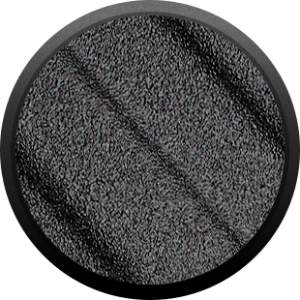 Sound-dampening. Even at high speeds, a bed treated with LINE-X is much quieter than an untreated bed. Contact us at R.P.M. Performance today to learn more about LINE-X, to request a free estimate for a bed liner or a protective coating, or for more information about the car, SUV, and truck accessories that we have available. We want to help you turn your vehicle into the perfect machine for your needs! LINE-X® provides unmatched protection for your vehicle with the toughest, boldest, and most durable bed liners on the market. Expertly sprayed by highly trained technicians, you can rest assured it’s been done right when you trust R.P.M. Performance in Burlington to do the job. We’re so confident in LINE-X’s quality that we back our bed liners with a lifetime warranty, giving you complete peace of mind. LINE-X bed liners are designed to meet the needs of every truck owner, whether you’re a farmer, hunter, contractor, or weekend warrior. You rely on your truck, so it’s important that you can rely on LINE-X to protect it. That’s why LINE-X is guaranteed not to crack, bubble, or flake. As long as you own your truck, we’ve got you covered. In the unlikely event damage occurs that’s not covered by the warranty, LINE-X can still be seamlessly repaired at R.P.M. Performance. Every LINE-X bed liner is applied by highly trained technicians who treat your vehicle like it’s their own. 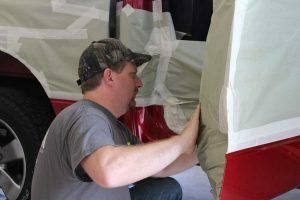 Our skilled applicators take time to ensure the quality of their work by verifying the precise tolerances of every bed liner, ensuring a consistent and ideal thickness for optimum utility in a truck bed. On a clean, dry truck, the bed is masked as if it is to be painted. The entire truck is covered to protect from overspray. Every inch of the spray area is thoroughly cleaned and scuffed to guarantee a strong molecular bond. Trained technicians carefully and precisely apply the LINE-X. It dries in 3-5 seconds. The whole process is complete in two hours and you can drive home. After a 24-hour cure time, the vehicle is ready for the elements. ©2018 R.P.M. Performance | All rights reserved.